Michael Feinman grew up in Levittown, Pennsylvania and went on to obtain a civil engineering degree at Penn State University. Returning home, however, he went right to work in the family business, the Trenton Road Tavern. Michael’s father Leo started the business in 1970 and as their take out business expanded over the years, the bar got smaller. Finally in 1986, the Feinman family stopped serving hard liquor and changed the name to Trenton Road Take Out. Now a full service 6-pack and 12-pack establishment with one of the largest selections in the area, Trenton Road Take Out (TRT) carries a full line of over 950 Foreign, Craft and Domestic Beers, as well as serves breakfast and luncheon sandwiches. Along with the help of his daughter Nicole, Michael has been extremely successful in taking advantage of social media to help further his business. By using Twitter and Facebook, TRT has been able to keep in touch with the needs of its customers while both announcing new arrivals and taking requests for certain products. Named by a customer on Facebook, TRT offers their Sir-Mix-A-Six deal where customers can mix a six of beer with no upcharge that they might experience at other places. Looking for something to do this spring and summer? Trenton Road Take Out hosts a number of “Food Truck Saturdays” where they bring in different types of food trucks and offer beer samplings to customers. 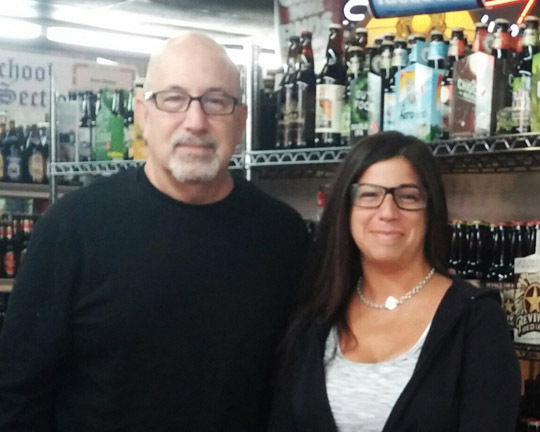 As a former President of the Bucks County Licensed Beverage and Tavern Association, Michael likes to give back to the community that has embraced his family and TRT for so many years. A majority of the funds raised for charities and events are collected from Trenton Road Take Out’s customers, for which Michael will then match. Some of his favorite charities include the Christopher Mensch Foundation, “A Fundraiser for Joey,” the Movember Foundation, Healing Consciousness, the Family Service Association of Bucks County and many more. For more information on Trenton Road Take Out, please visit www.trentonroadtakeout.com or like their page on Facebook!